The 3rd June 2012 will undoubtedly be remembered for the magnificent Thames Pageant in honour of the Queen’s Diamond Jubilee and the rather wet and chilly weather it took place in. 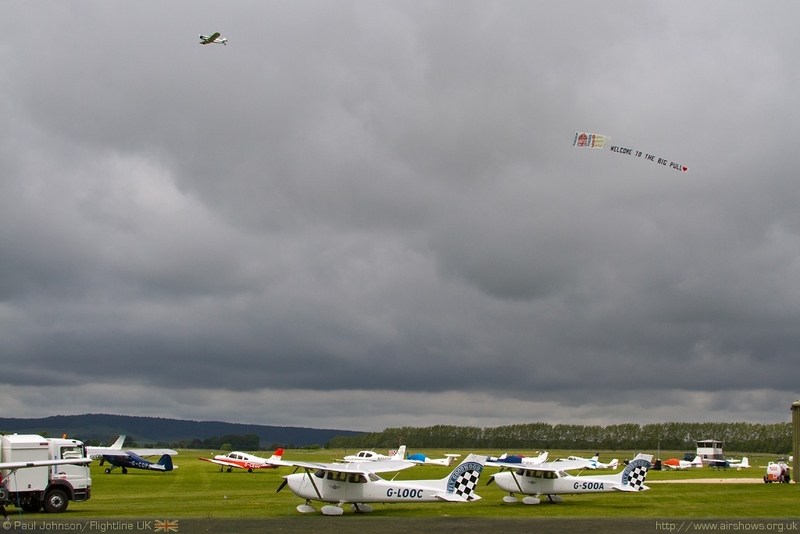 One part of the UK that managed to escape the weather was the Sussex coastal region that was right on the edge of the weather which was good news for a very unique charity fund-raising event with an aviation twist – The Big Pull. 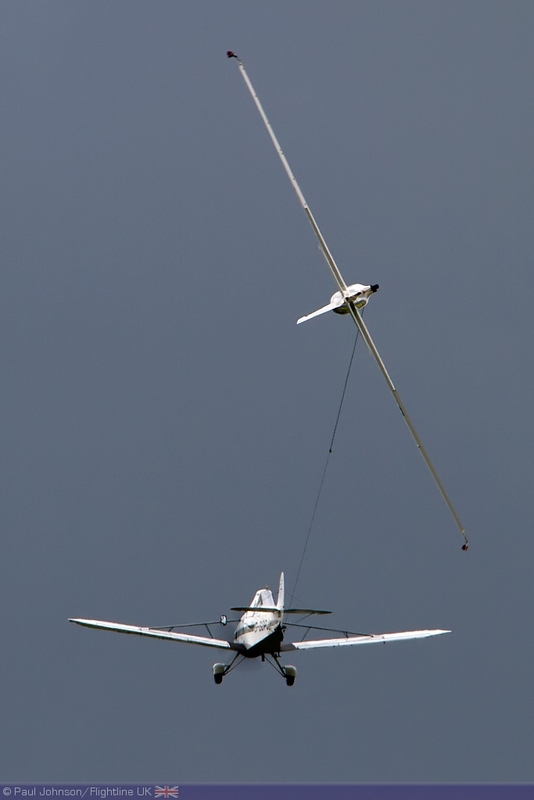 Flight, particularly in light aircraft, is an amazing experience for anyone. There is an amazing sense of freedom it gives. For those with a disability, it can be an amazing release. 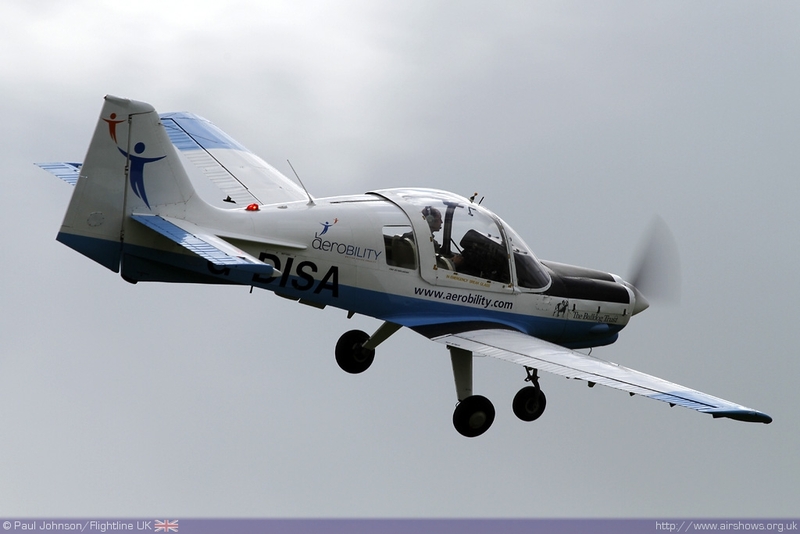 One of the charities that give disabled people a chance to enjoy flight is AeroBility led by Mike Miller-Smith. 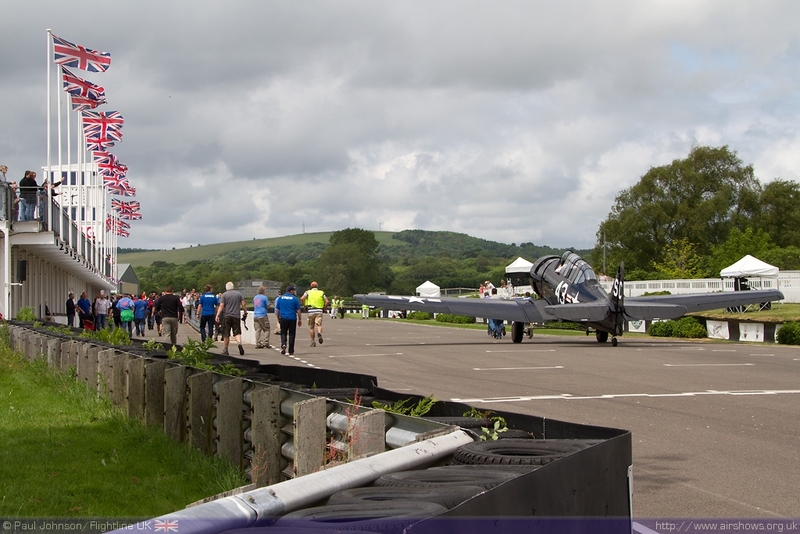 The Big Pull was a unique fundraising event organised by NATS and the Controllers’ Union as part of their plans to raise £100,000 during 2012 to allow AeroBility to purchase a new adapted Piper Cherokee. 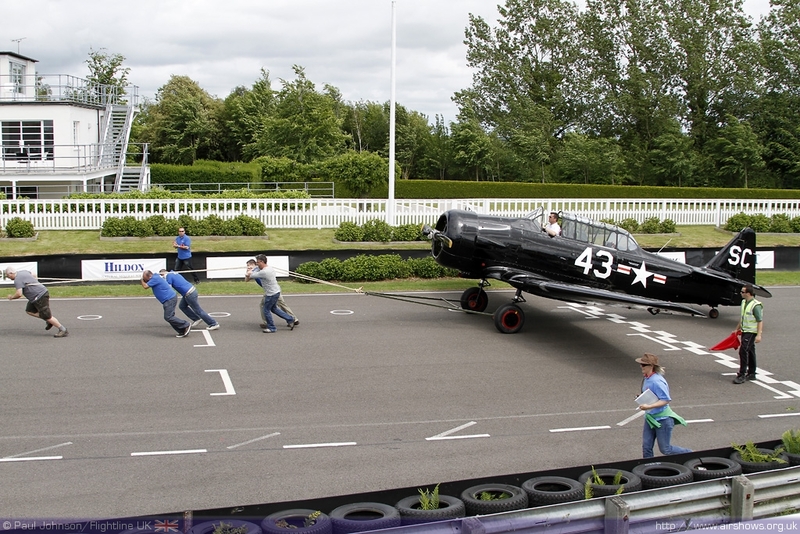 The main part of ‘The Big Pull’ was a competition between different branches of NATS to pull a North American T-6 Harvard along the finishing straight at Goodwood Motor Racing circuit which runs around the perimeter of the aerodrome. However, that was just a small part of the whole weekend. The evening before the pull saw a Gala Dinner held in the glorious Goodwood House and its leafy surroundings and other activities have been arranged throughout the year. 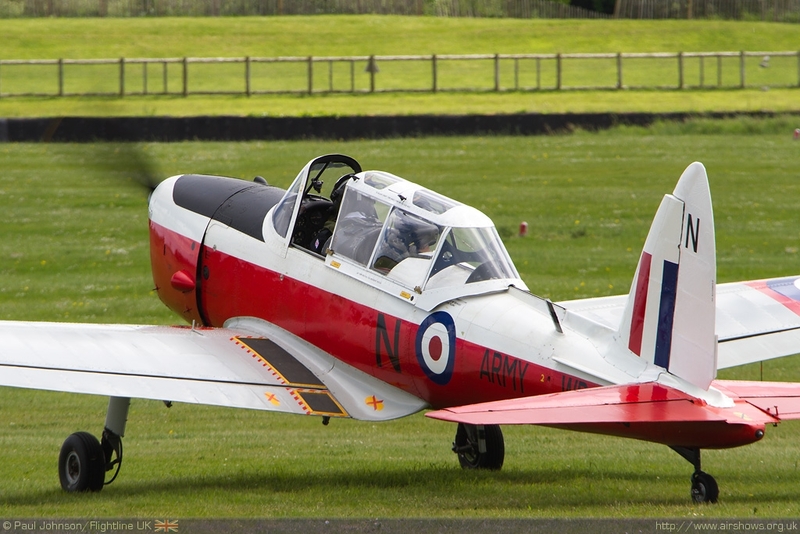 The Big Pull however was much more a family day-out and the aerodrome also hosted a flying display to keep the crowds entertained. 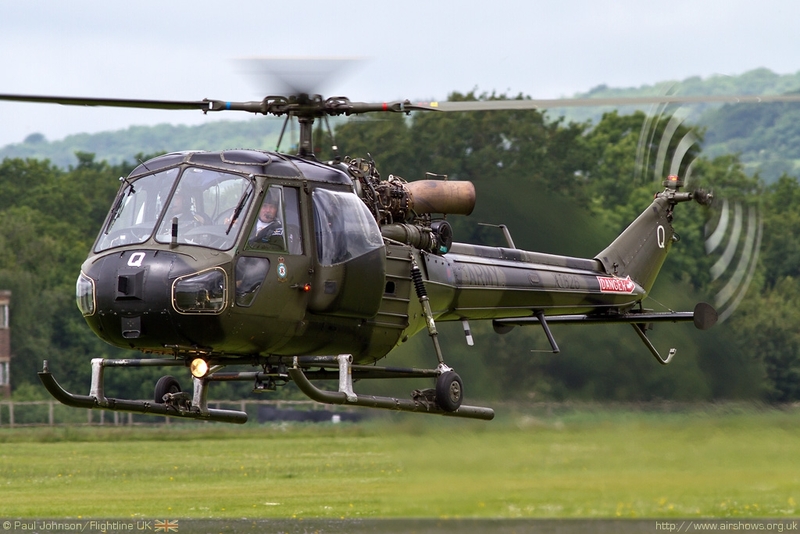 Sadly the poor weather to the north did affect this part of the day forcing a number of aircraft to pull out. 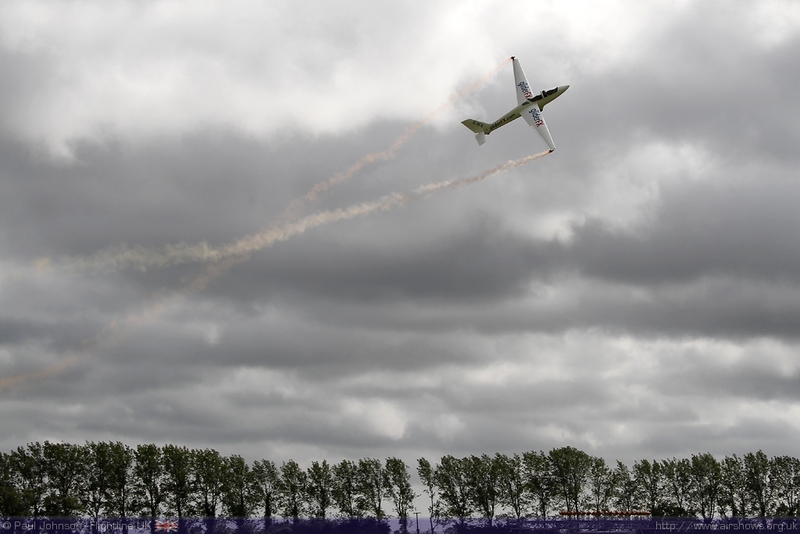 The flying displays were opened by the GliderFX Display Team’s Piper Pawnee towing a special Queen’s Diamond Jubilee themed banner welcoming people to the show. The large printed sheet-banner will also be seen at a number of events around the country throughout the season. 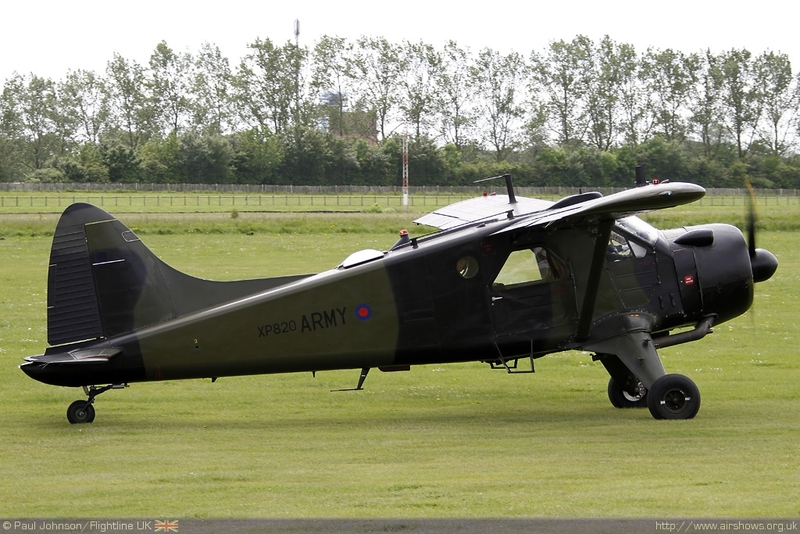 The only military display of the afternoon was the Army Historic Aircraft Flight who managed to get in from Middle Wallop with their De Havilland Canada Beaver AL1, Chipmunk T10 and Westland Scout. 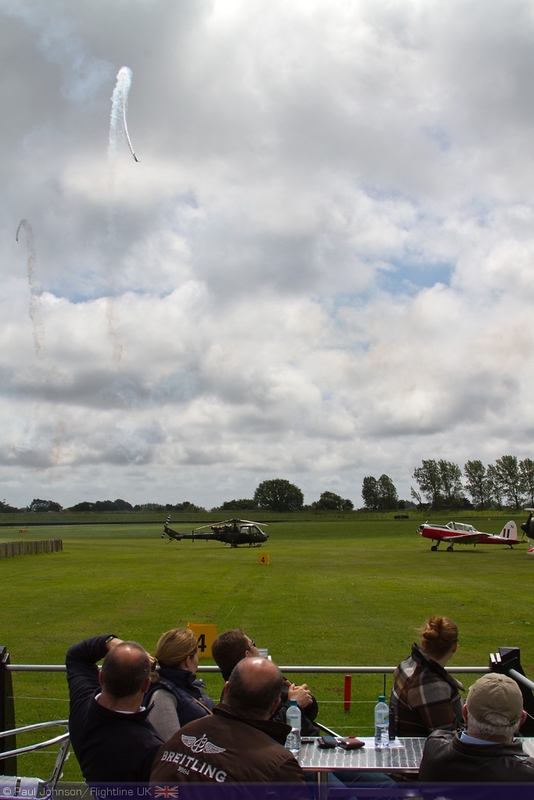 With such a diverse range of aircraft, their formations over Goodwood was certainly an eye-catching addition to the days activities. 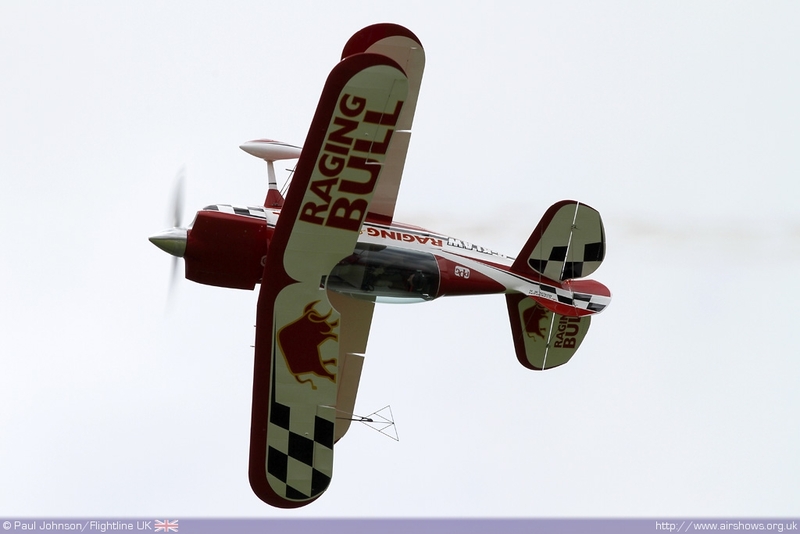 The first aerobatic act to display was a very attractively presented and noisy Christen Eagle biplane carrying ‘Raging Bull’ markings! 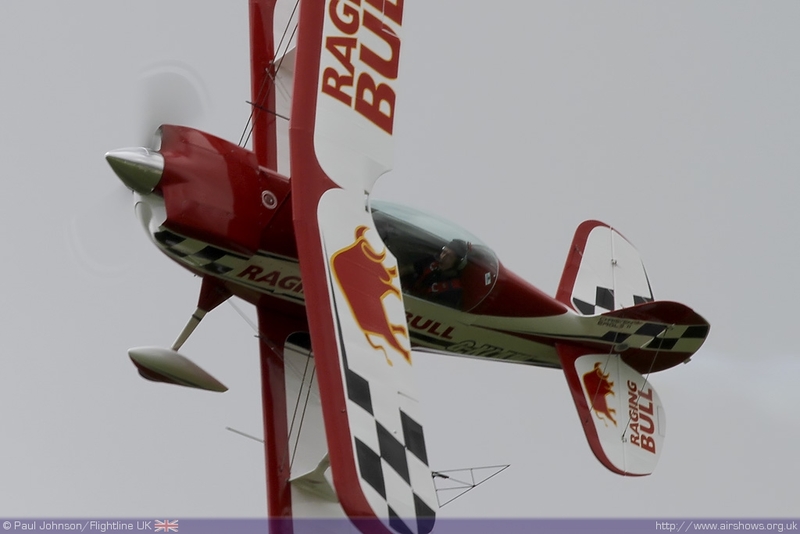 The Eagle is one of the classic airshow machines capable of a full range of aerobatics including gyroscopic tumbles! Closing the first session of flying displays were the SWIP Team which had managed to find a gap in the weather to get to Goodwood. The team’s brand new sequence is certainly much more action packed and keeps the display much closer the audience with some novel mirror and opposition figures. 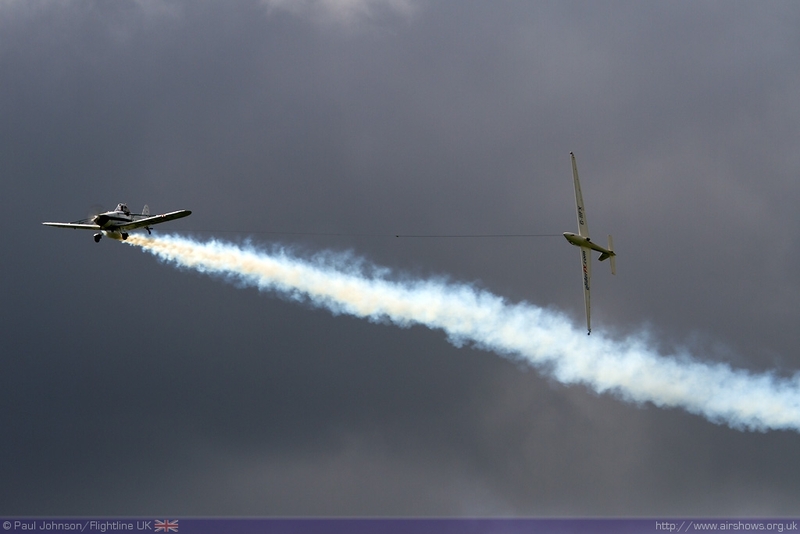 The finale to the day was provided by two further air displays. 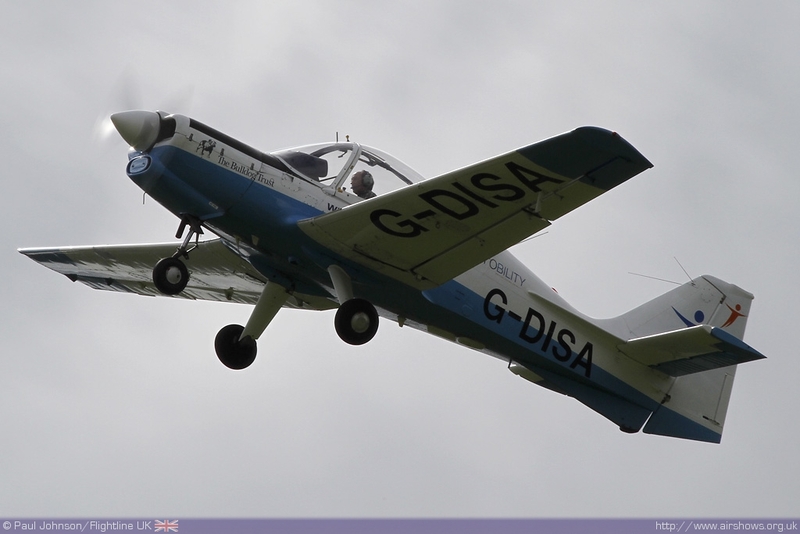 Pete Kynsey displayed the Scottish Aviation Bulldog G-DISA which is one of the adapted aircraft that AeroBility supports. 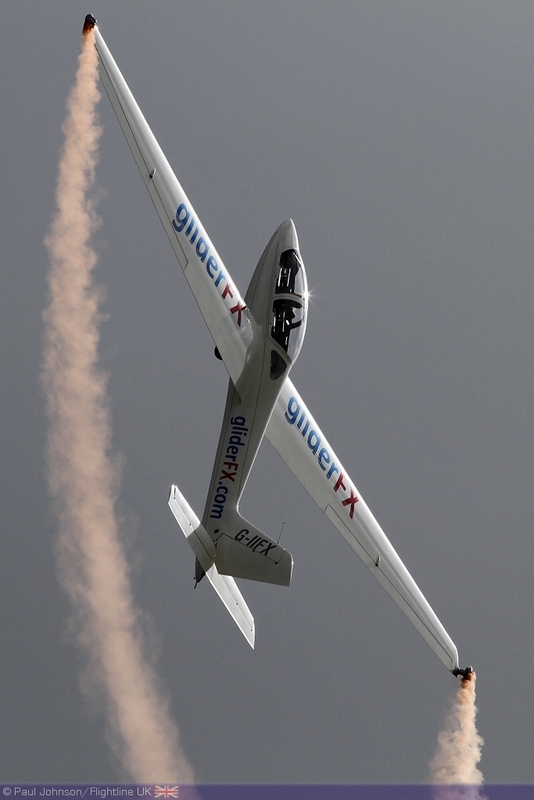 Pete put a superb aerobatic sequence in the little training aircraft including his trademark 8-point roll! Closing the flying displays and the day as a whole was the GliderFX Display Team flying their Piper Pawnee and Fox Glider flown by Paul Moslin and Guy Westgate. 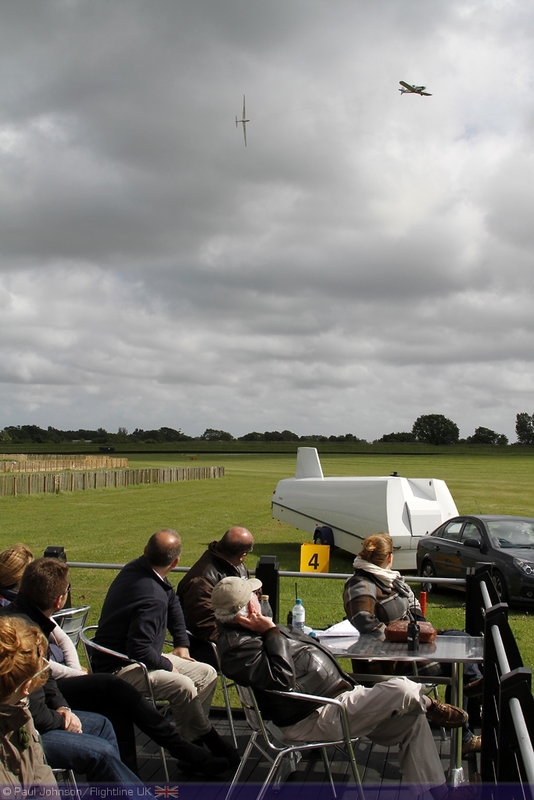 The team completed their full display despite some brisk winds off the English Channel must to the enjoyment of the small crowd gathered around Goodwood’s iconic Aero Club. Despite the British summer’s best efforts, the weekend was very successful exceeding expectations taking the NATS fund-raising total to £120,000. 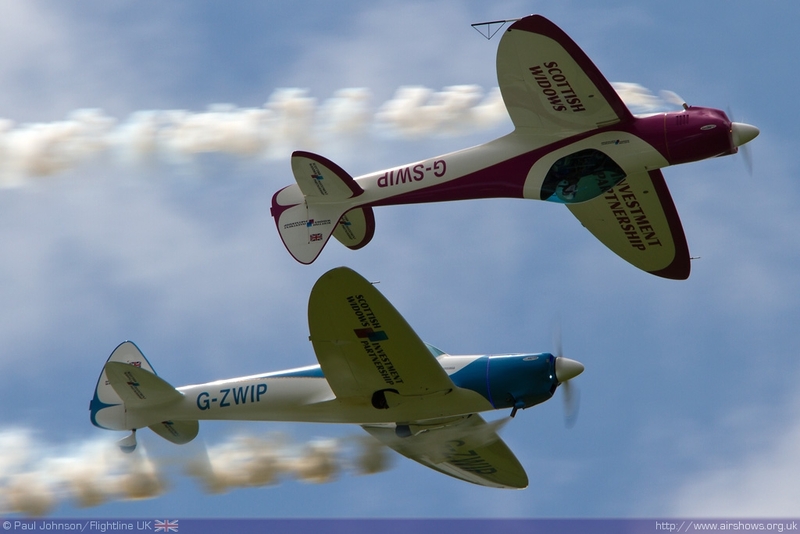 To find out more about Aerobility, visit their website.